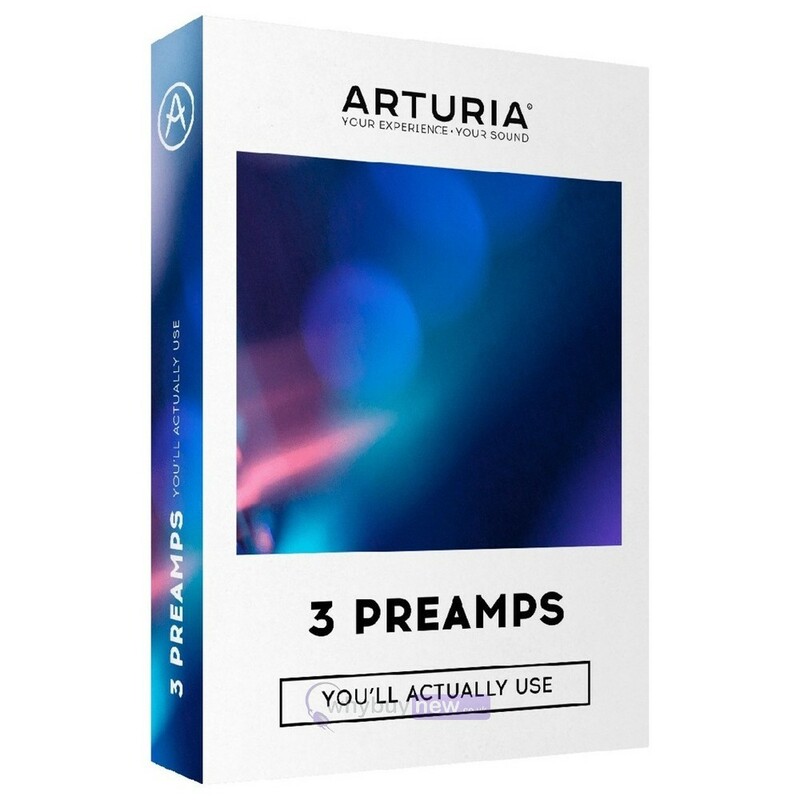 Here we have the Arturia 3 Preamps You'll Actually Use from one of the leaders in synth technology. 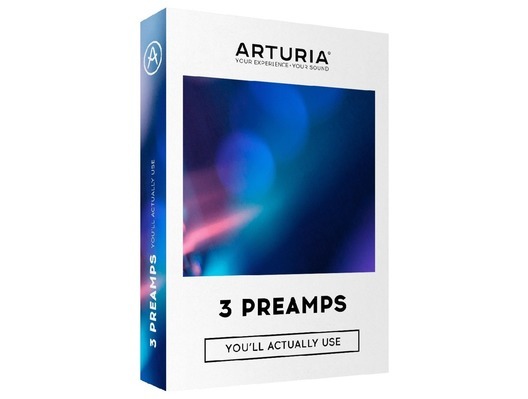 There's a world of plug-ins out there and finding something you'll both enjoy AND use again isn't easy - Arturia have simplified this whole process, doing all the leg-work for you to find three of the most iconic pre-amps of all time and lovingly recreating them in digital form. 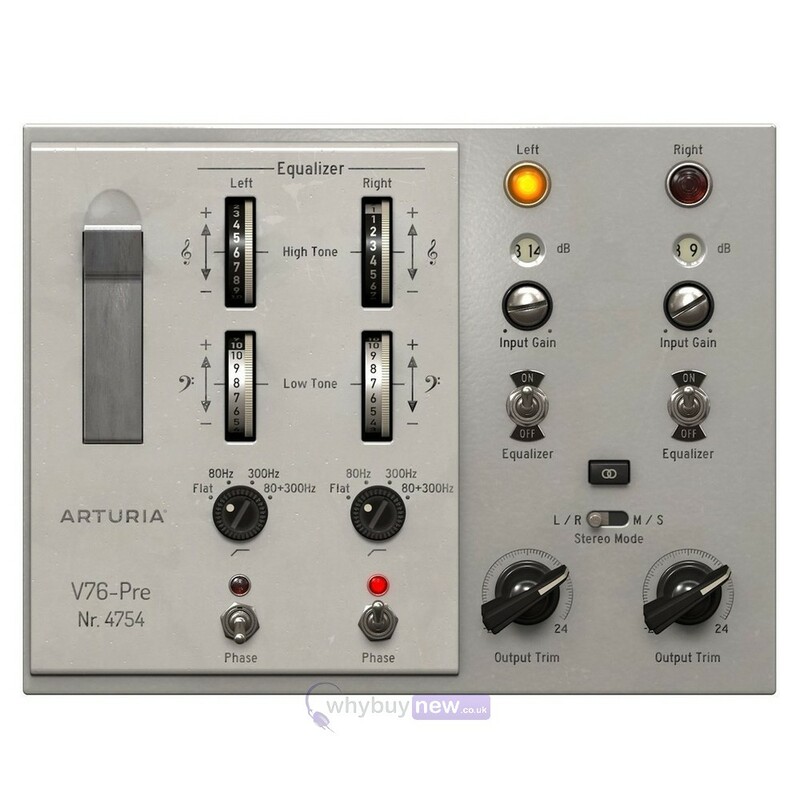 The 1973-Pre, TridA-Pre, and the V76-Pre that the 3 Preamps You'll Actually Use is based around will narrow down your selection while at the same time expanding your digital audio capabilities more than you could have imagined. As every modern music producer knows, the sheer amount of software plugins available seems almost limitless. There are a bewildering number of effects out there. Some you'll love, others you'll use a few times until something new comes along. Some are simply no use at all. As a company of passionate musicians and producers we feel your pain. That's why we decided to do something about it. We wanted to create a small, carefully curated collection of great sounding plugins that you can rely on. A few effects that would integrate perfectly with your setup, and empower your creativity. 3 Plugins You'll Actually Use. These preamps will give you mixing confidence, simplify your creative process, improve your workflow, and give you huge creative control. 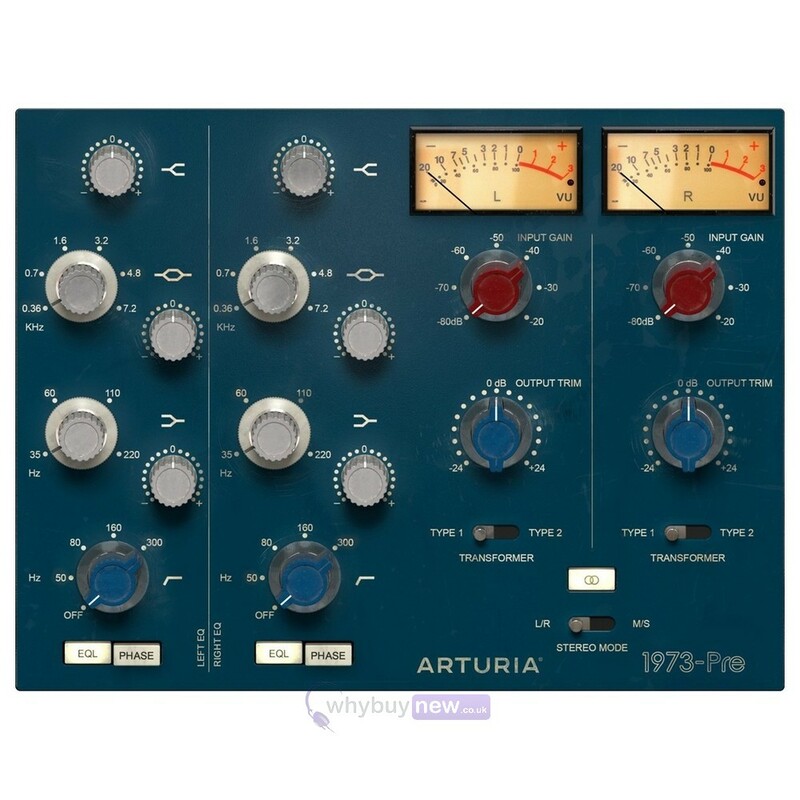 Based on the pioneering work of audio engineering visionary Rupert Neve, the Arturia 1973-Pre is the key to getting that harmonically exciting, solid-state 70s tone. Music industry gold-dust, Trident Studios' ultra-rare preamp and musical EQ added flavour to countless best-selling hits for over half a century. Key to getting that "White Album" sound, these reinvented German engineered, tube-driven broadcast preamps were beloved by Abbey Road. As you can see, each of the preamps has carved out its own place in the history of popular music. Now, thanks to TAE, the same technology that brought you the finest keyboard and synth recreations ever made in V Collection, you too can enjoy the tonal character and inspiring features of these historic preamps. "Why do I Need Preamps?" "I already have preamps in my audio interface. Why would I need a preamp plugin?" Once upon a time, in the "golden age" of the recording studio, the preamps in mixing consoles were pioneering technology. They boosted the signal from microphones and instruments to workable, mixable levels, and kept the sound clear and pure. At least, that was the theory. In reality, vintage preamps imparted subtle tonal changes in the sound they amplified, exciting their harmonic spectrum and saturating the signal. Their analog components also allowed mix engineers to use their "soft clipping" sound creatively, pushing tracks harder and controlling their dynamics. Fast forward to today, and the modern preamps you find in practically every audio interface have a very transparent response, accurately capturing the audio they receive. The downside to this - and one that many modern music producers dont even realise is a problem - is that in the pursuit of pure tone, we have lost the subtle colour, flavour, and "magic touch" that vintage preamps imparted. This was the sound behind countless hit albums, the secret of multi-award winning engineers and producers, and the signature of the worlds biggest studios. 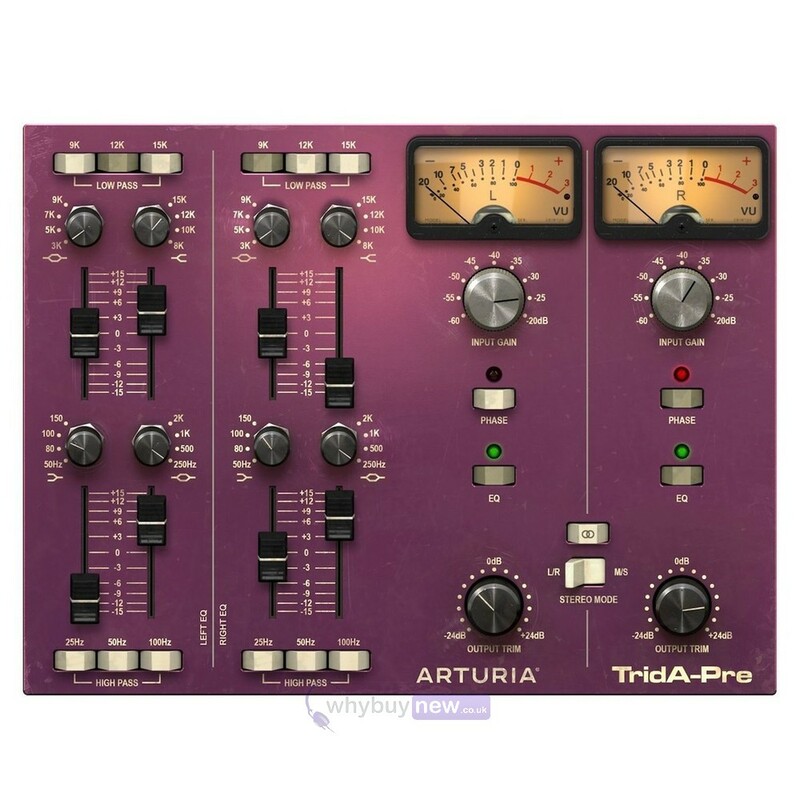 Now, with Arturia's 3 Preamps You'll Actually Use, you too can enjoy the subtle, and not-so-subtle sound of the greatest mixing consoles, channel strips, and preamps of all time. - Shape vocals with a world-class signal chain. - Add analog warmth to software instruments. - Give your bass more weight and clarity. - Enrich harmonics of instruments. - Create music you love hearing. Recreating iconic gear as software is no small feat, and enhancing them beyond their original capabilities takes a special kind of passion and dedication. While highly desirable, these 3 classic preamps have long been out of reach for many musicians, producers, and engineers. We are award-winning modelling experts, and one of our missions as a company is to bring the sound of iconic instruments out of the realms of obscurity, and into the hands of as many musicians as possible. Now, with 3 Preamps You'll Actually Use, we extend our promise to studio gear by creating the definitive software recreations of this historic, influential equipment. To achieve our goal, we really did our research. We were hunting for just a few very special preamps, equipment that changed the face of music as we know it. We travelled far and wide, studied the originals, spoke to the engineers who know them best, and were meticulous in our methodology and modelling. Our search for perfect vintage tone led us to studios in London, Paris, and Copenhagen, where we able to get up close and personal with the Trident, Telefunken, and Rupert Neve classics. As soon as we heard them in action, we knew wed found what we were looking for. Now it's your turn to discover the inimitable joy of vintage signal processing for yourself.